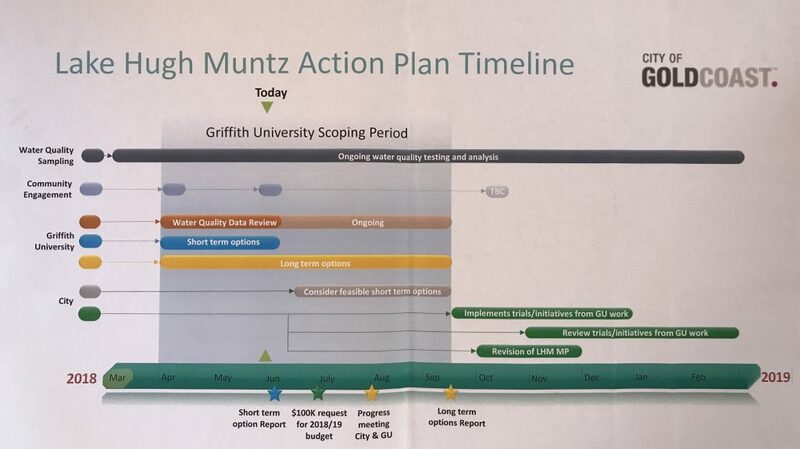 The long term Option Report due in September has been under review by Council for some time with the report to be made available to the public shortly via the Lake Hugh Muntz Page on Councils Website. To date, there is no notification of what action is planned, more importantly no time line for implementation. With less that one month away from Summer, the concern is that the lake will suffer a third consecutive outbreak with no action by Council. We will advise when the report is available and any updates.